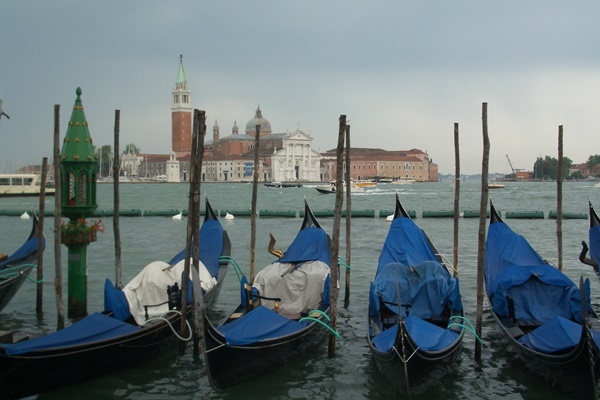 Many travellers on their European travels would like to get directly from Venice to Dubrovnik. Note that there are no direct ferry connections between these two cities. However, several options of travelling on this route is available. 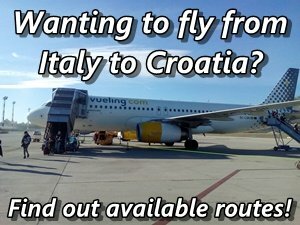 By far the easiest and the fastest way of travelling from Venice to Dubrovnik is by plane. Croatian national carrier, Croatia Airlines operates flights on this route starting from May until October (twice a week). The flight takes 1 hour 30 minutes. Spanish low-cost airline Volotea also has twice-weekly flights in the period from end of April until November between Dubrovnik and Venice. In 2018 EasyJet introduced flights between Venice and Dubrovnik operating from 26th June until 1st September. Service will be available three times a week. Another option of reaching Dubrovnik from Venice is to take a catamaran from Venice to the port of Pula situated on the western coast of Istrian peninsula. This catamaran service is available only summer season (July - September). From Pula you can fly directly to Dubrovnik with Croatia Airlines directly to Dubrovnik but only from 31st May until 27th September (every Tuesday). One of the options would be taking a train from Venice to Trieste, and then take one of the daily buses from here to Dubrovnik. However, the bus journey from Trieste to Dubrovnik is rather long (20 hours), and it's not everyone's cup of tea. Otherwise, you can take a train down the Italian side of the Adriatic to Bari and from there catch Jadrolinija's overnight ferry to Dubrovnik. Also you can take a ferry from any other Italian port to Croatia and then continue your journey down the coast until you reach Dubrovnik. Find below the table with all ferry connections between Italy and Croatia. Choose from the variety of Babin Kuk hotels offering great accommodation options. Family-oriented resorts, luxurious hotels or even adults only hotels - it's on you. Dubrovnik offers accommodation at 40 hotels ranging from budget to luxury ones. Find out how to choose the perfect hotel for your stay. Find out the easiest way to get to Dubrovnik. Choose from many flights to Dubrovnik, taking a car or bus!